Summer is here, signaling from coast to coast the beginning of barbecue season, beach bonfires, and cold beer in ice chests. Along with the long, lazy, dog days of summer comes the perfect time to re-evaluate your cannabis strains and learn more about cannabis strains that more properly suit the season. As outdoor activity levels rise along with the mercury readings on your garden thermometer, those potent indicas that served you so well during the freezing winter months may serve you better during the evening, when the setting sun isn’t baking your brain and causing the sedative fatigue that results from your favorite indicas. Summer is the time to stock up with motivational, sticky sativa strains that will rejuvenate you on your morning jogs and afternoon hikes. People are on the move more than ever during summer and fall, so whether you’re a grower looking for new seasonal strains or a consumer looking to stock up, the time is right to learn more about tasty sativas that you may not have tried. The following strains are sure to keep a spring in your step while you enjoy the tasty terpene that make them staples with legions of cannabis enthusiasts everywhere. The following strains are all worthy of your attention as you ponder new summertime smoking experiences. Jack Herer was created by Sensi Seeds to honor the cannabis activist of the same name. Great care went into its creation, and since Herer was known for his preference for sativas, his strain had to reflect this penchant for this type of flower. When the Jack Herer strain hit the cannabis scene, it quickly gained popularity with sativa lovers. Its genetic background is a mix of Haze, Northern Lights #5, and Shiva Skunk, and although it leans only slightly to the sativa side, it behaves like a sativa when smoked and in the garden, where it can stretch out a bit and take a little longer to mature than many other popular strains. There are several phenotypes, but most of them shows evidence of their Haze roots, with spicy and sometimes fruity notes mixing with the Hazey mint-pine flavor. Jack is fairly common in dispensaries, so keep an eye out for it—it’s a great summertime treat. Pineapple Express has a marijuana-themed movie named after it, which almost ensured its popularity. This fruity sativa provides a euphoric boost to those looking for a good wake-and-bake strain. The pineapple flavor of some phenos is not as distinct as other pineapple strains like Pineapple Chunk or Pineapple Punch, but it is undeniably tasty and invigorating, and fruit notes definitely reveal themselves on the palate—sometimes leaning more to apple, papaya and other tropical fruit as much as pineapple. Some examples also have pleasant woody notes. The genetic background of Pineapple Express combines Trainwreck and Hawaiian. The Hawaiian roots are also found in other strains that carry pineapple aromas—an appropriate flavor since pineapples are a major crop on the islands. Pineapple Express is a fairly balanced strain, which is understandable considering its roots. The energetic high does have a little body to it, so there is a mildly relaxing element to it as well, as its effects wear off. Pineapple Punch is another pineapple strain that results in an extremely clear, upbeat buzz when smoked. This is a “get things done” strain all the way, perfect for summer days when you have a list of things to accomplish. Created by Flying Dutchmen in Amsterdam, this strain is extreme sativa that combines Skunk #1 with a Hawaiian strain, The Real McCoy. It’s robust tropical fruit flavor has distinctive pineapple, citrus, and floral qualities. Pineapple Punch is a happy strain that hits those who partake in the head with a heavy cerebral effect. From start to finish, don’t expect to feel this one in your body at all. Although Pineapple Punch has been around for many years, you may find that it’s a little more difficult to locate than many other popular strains. It has a following in the Pacific Northwest and crops up periodically in other areas of the country. Cannabis growers should have little difficulty purchasing seeds. If you see it for sale, get it. Pineapple Punch is a great summertime strain. The iconic White Widow strain is a balanced sativa-leaning hybrid that initially hits hard with indica-like impact which evolves into a powerful sativa experience. White Widow spawned the entire “white family” of strains, including White Rhino and Great White Shark, to name just two. The beautiful trichome-covered flowers are quite beautiful to behold and provide this strain with a frosty white appearance that earns this classic sativa its name. Although there are many knock offs, White Widow originally came from Greenhouse Seeds in Amsterdam, combining Brazilian and Southern Indian genetics. The flavor varies a bit depending on which version you ty, but the taste is sweet, with slightly earthy and musky qualities. White Widow enjoys widespread popularity, so keep your eye open for it in your favorite dispensaries. The Widow will provide a powerful boost to your hot summer days. The classic Haze strain hails from Santa Cruz on the upper Central Coast of California. The legendary “Haze Brothers” created and stabilized it during the late 1960s and early 1970s, utilizing popular sativas of the time from Colombia, Thailand, and Mexico. South Indian indica also helped provided a shorter growing cycle to this illustrious strain. Pure Haze has served as a parent to numerous strains in the Haze family, like Super Silver Haze and Lemon Haze—not to mention some that do not reveal it in their names, like Jack Herer. 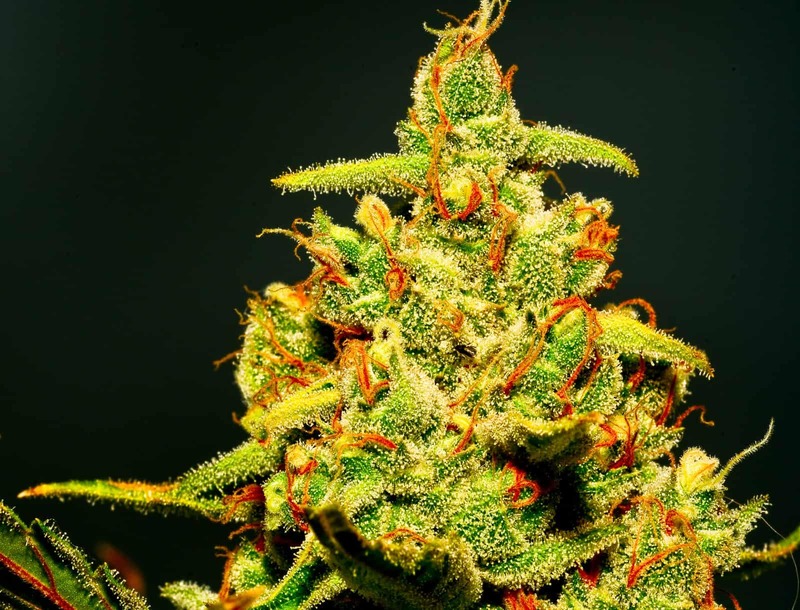 All of the Haze strains are worthy of your attention this summer season since each provides a refreshing Haze boost to your day Once you’ve tried Haze, you will remember it forever and be able to detect it in other Hazey strains. There’s no mistaking the minty pine flavor. Few strains rival its impact on modern cannabis. Another legendary old-school sativa that’s well established in cannabis-friendly countries around the world is Durban Poison. As its name implies, this pure sativa landrace strain hails from the port city of Durban in South Africa. 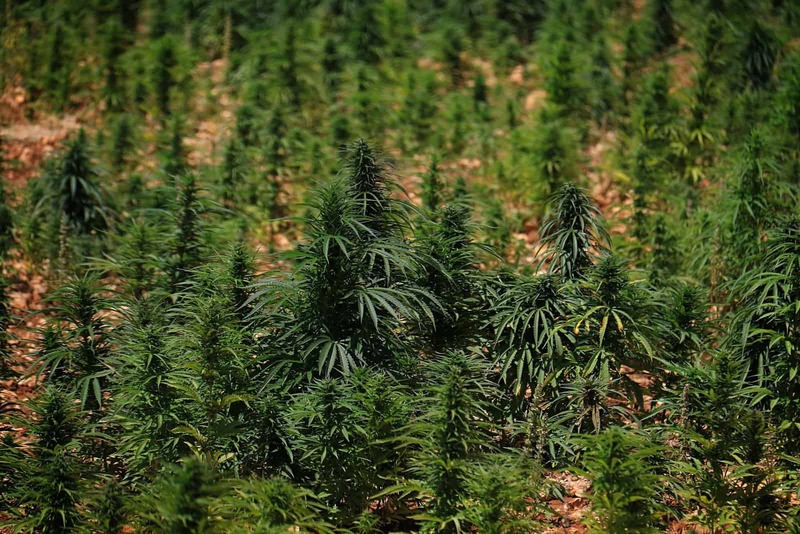 Fortunately, the genetics of Durban Poison still exist today thanks to due diligence on the part of cannabis breeders who knew something special when they smoked it. Durban Poison has also made an impact when used to create all-new strains. Its power has made it extremely useful for medical purposes. This strain has been around for many years, so it’s known to older cannabis enthusiasts as well as younger generations of consumers. The flavor is very pleasant, with distinct sweet pine and subtle earthy notes. It hits like a hammer and packs a soaring sativa high all the way, thanks to its pure sativa genetics. Durban enjoys widespread popularity, so it’s another strain you should be able to find with a little looking. Stock up this summer to keep active and alert during the summer heat. A final strain for this short list of summertime sativas—and definitely one worth locating—is Golden Goat (some would say we saved the best for last). This tasty energy-boosting strain has Midwestern roots and earns its name from its pleasant light green flowers with golden highlights. The genetics are a wonderful mix of Romulan, Hawaiian, and Island Sweet Skunk. This combination really pays off in the terpene department, with mouthwatering aromas and flavors. Best described as tasting like a bland of sweet, citrusy tropical spice, Golden Goat must be experienced personally to do it justice—descriptions, as accurate as the y might be—simply don’t do it justice. Since it enjoys widespread popularity, you should be able to find it in your area. Look for it during your next cannabis shopping trip. So as the warmth of summer continues to heat up to a steady simmer, reach for a cerebral and stimulating sativa to complement your day. Along with a refreshing cool beverage, some nice sticky sativa is certain to make your summer festivities even better.